Went to see ‘Toy Story 3‘ in 3D last night (and how fabulous everything looked through my specs..). Was thoroughly sucked into the pathos and humour. A glorious finale to the Toy Story story. Went home and vowed never, never, EVER to throw away my teddy. I’ve had him for 39 years, through school, college, work and travel. Gave him an extra cuddle because I was so glad I had never thrown him away. Go see the movie (and look after your toys). Sunday morning coffee, steam curling in the sunshine. I took loads of shots of this, and there were all kinds of amazing patterns and spirals, as well as colours shooting through. Coffee was pretty fine, too. Not quite a wild night of clubbing – and the only cutting loose involved a darning needle and thread. Finally getting around to mending children’s clothes. Waste not, want not. 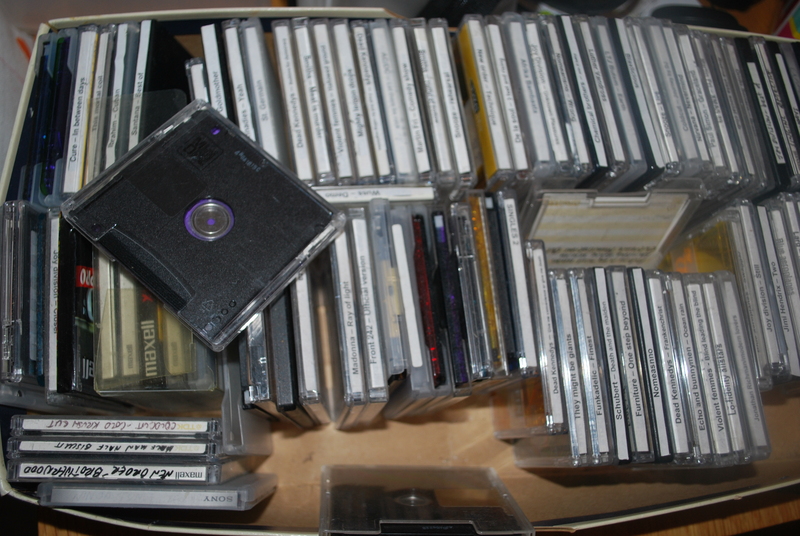 Clearing out the loft, we find these treasured mini-discs, from the day we converted all our music to modern technology. The Cure, New Order, all the greats…. Gosh, how cutting edge we were. Let this be a reminder of the never-ending tech-upgrade…. 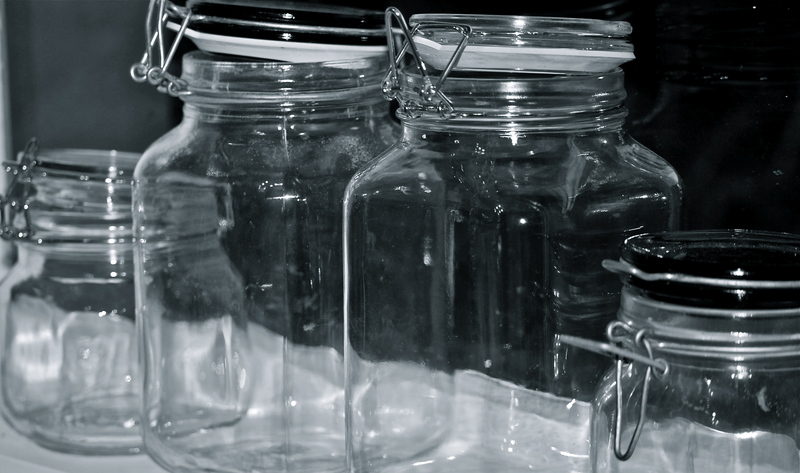 Jars on the windowsill. I like the glass and the catches on the lids. 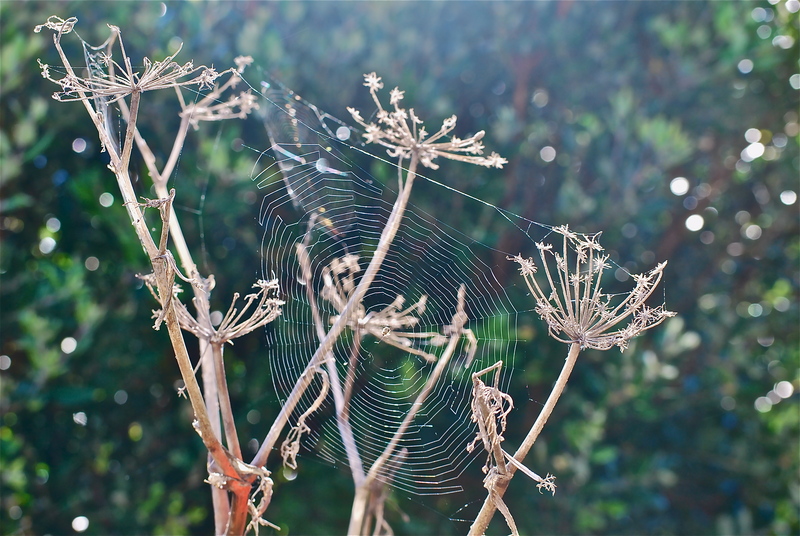 …you might see Charlotte’s Web strung across the dying fronds of summer flowers. In the office by 7.30am. Ten grizzelenia trees planted in arid, back-breaking soil. Children bathed, read to and put to bed with kiss and song. And a well-deserved glass of the red stuff. At last….. This shot was inspired by me looking for images that represent ‘Home’ as part of the April Megapixel challenge (see blogroll). 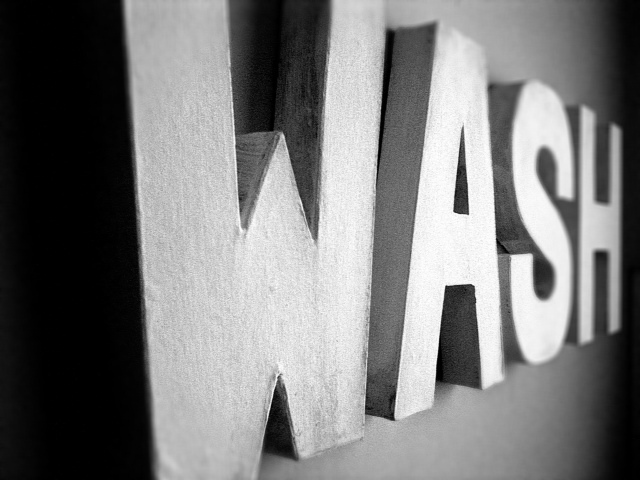 This two words sit high on the top of a wall that divides two rooms, and they can be viewed from both sides. The flash has made them look more stark and striking than in reality – but I like that. How often do you clean behind your fridge? For us, clearly not often enough. 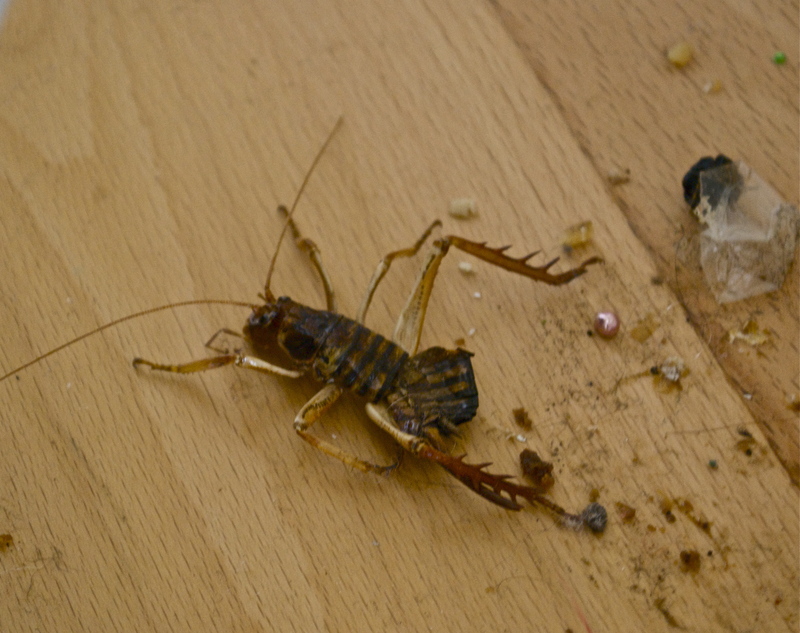 For the non-New Zealanders, this is a weta (not very alive, though) about 3 inches long. Just a baby.